This 760 S.F. 20' by 28' Cabin with main floor bedroom and sleeping loft is compact but has all you need for a long get-a-way. 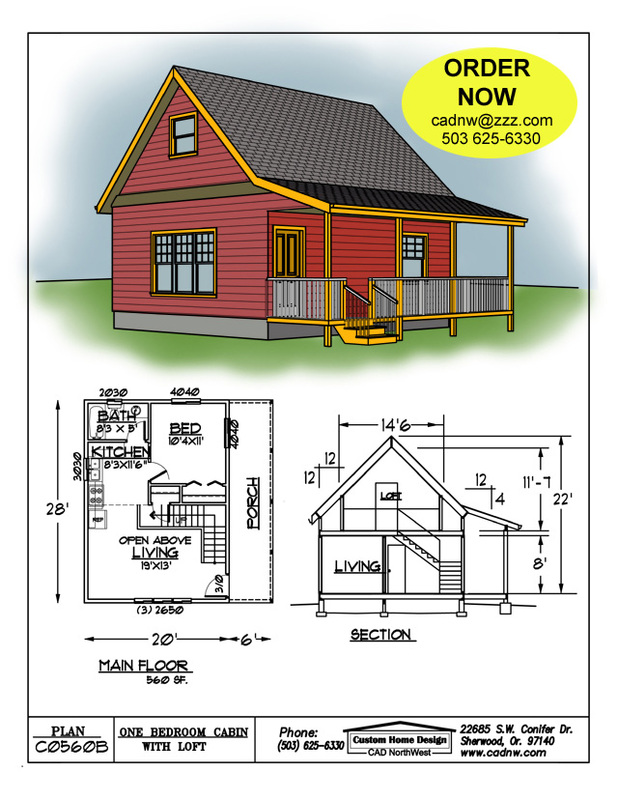 This plan is similar to our C0400A Cabin plan.